There are occasions you would like or need to add versioning to your API in order to specify availability or non-availability of functionality. There are a few options available such as Query String, Url based as well as Http header. For my purposes I am going to talk about the Url based approach, as I have implemented this option in my MyReverie repo due to a matter of preference of being cleaner and more explicit. The above three properties are particularly useful in that they allow default versions to be set if none are explicitly set as well as providing header information on versioning that are supported. Now let’s test our F5 and browse to our API endpoint with suffix : /api/1.0/goals, in my case below. 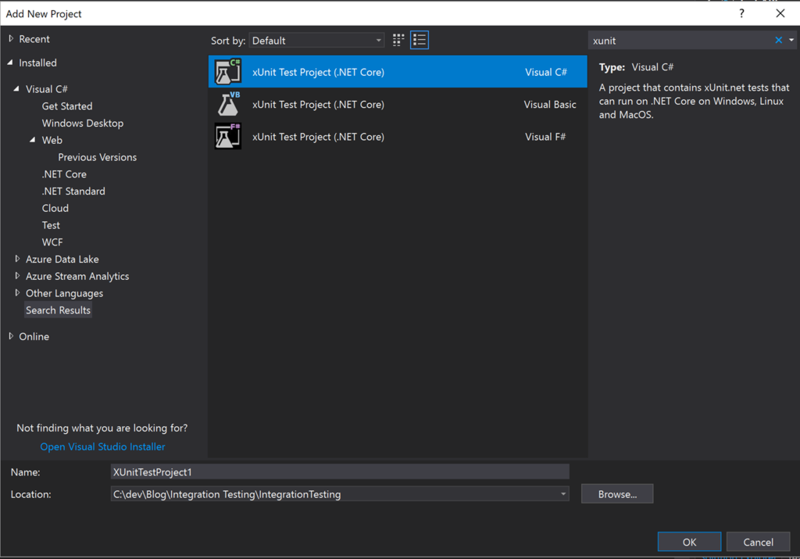 In this post I would like to show you how to go about adding Integration tests to your Asp.Net Core Web API project using Xunit.net. 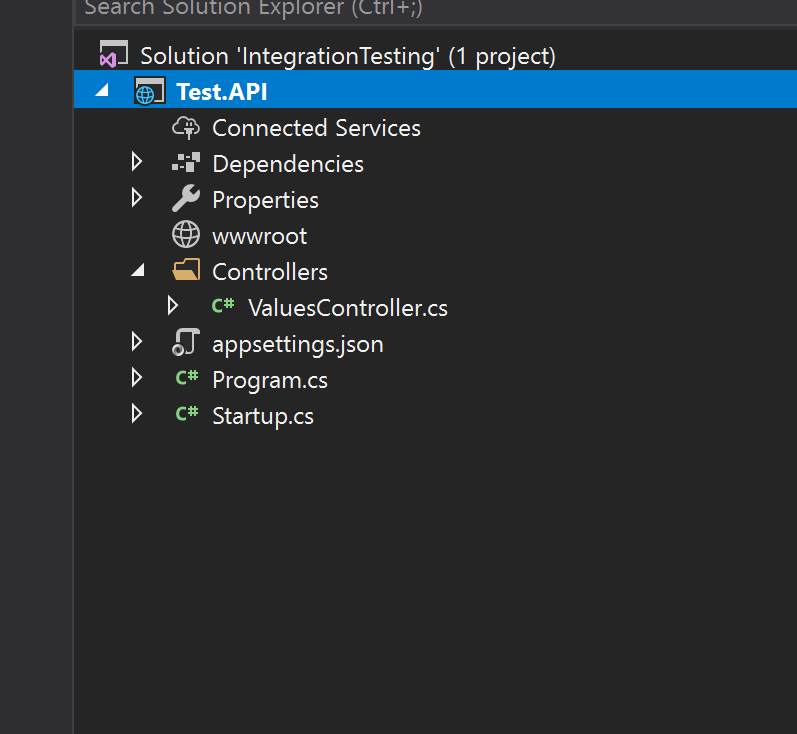 Integration tests are a great way to test infrastructure connectivity of various components of a solution such as testing request/response to your Web API, against external systems such as databases file systems etc..
ASP.NET Core uses it internally to test the product. 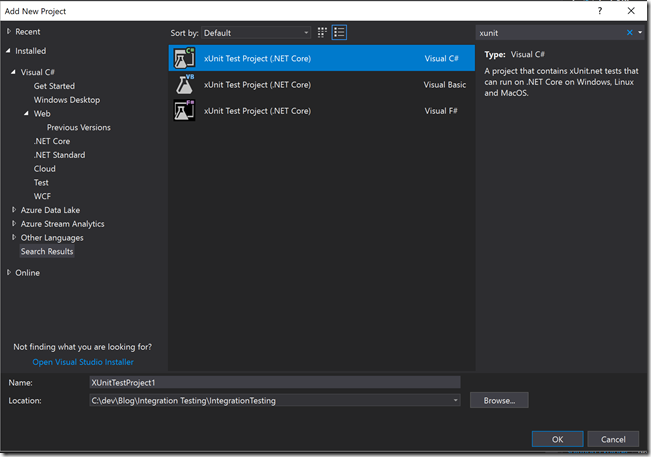 So it will be well supported and improved throughout Asp.Net Core’s evolution. 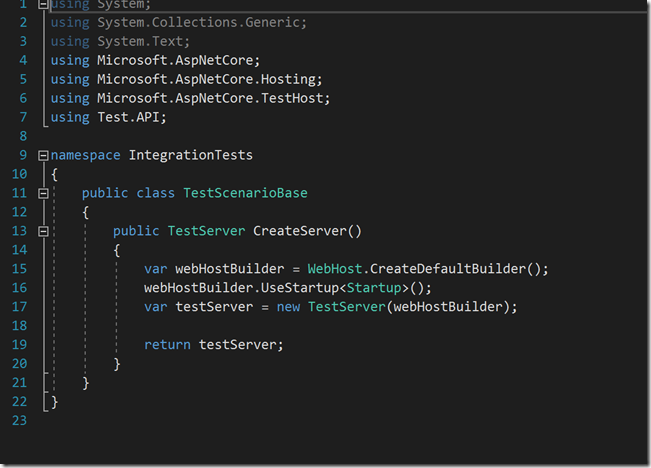 Asp.Net Core makes it easy and efficient to perform integration testing due to its support of a test web host and and in-memory test server allowing us to make actual HttpClient requests without going over the wire so no firewall or network config issues to deal with as well as this these calls are fast whilst still working with routing, model binding & validation etc. 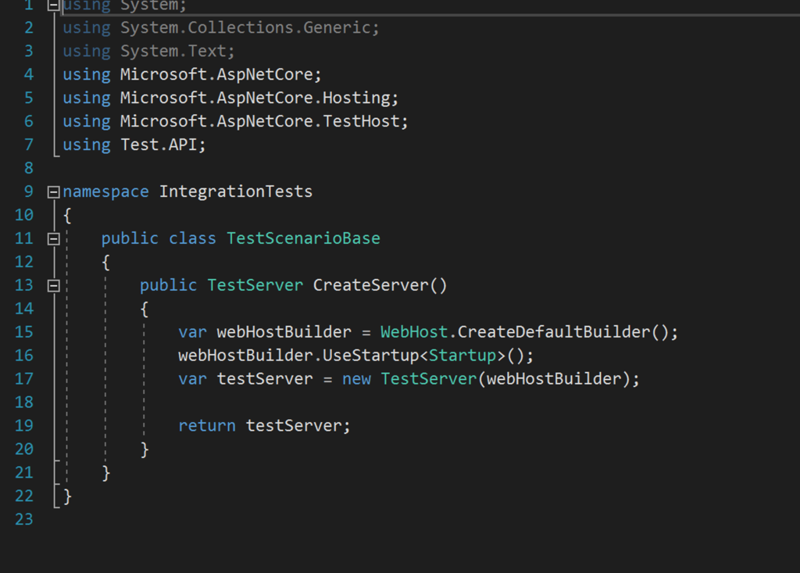 I will use an already created out of the box Asp.Net Core Web API which will be our ‘SUT’ or System Under Test and create our Test(xUnit.net) project which will be the project containing and executing our tests against our SUT using the test runner. I am purposely neglecting clean typical solution folder structure, exception handling etc. in order to keep the post focused on the objective. 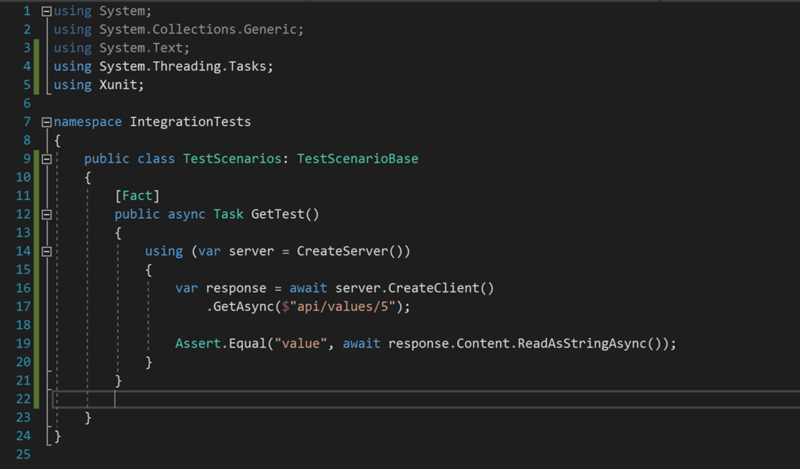 TestScenarios is our class containing our tests and TestScenarioBase is our base class containing the code to create a server to fire up our API in order to call that we will leverage in our out TestScenarios class. Run the test using the test runner and we should receive a Successful test run. 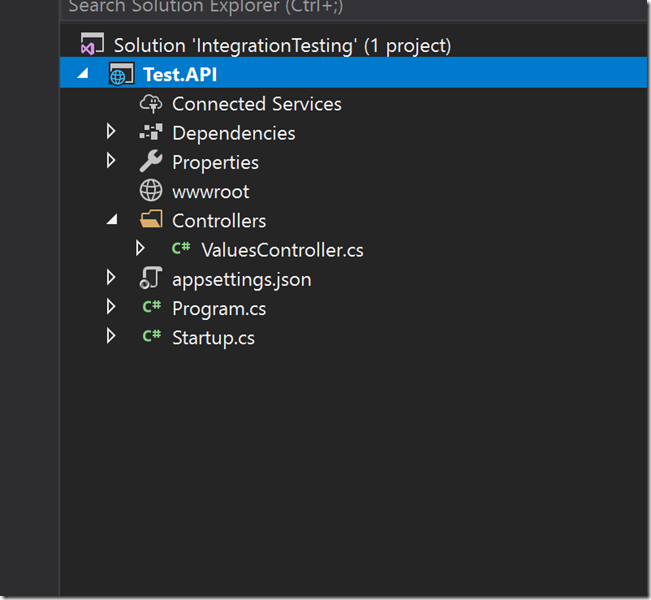 In my MyReverie repository in GitHub I have implemented Integration Testing in to my Solution if you would like to see the code I referenced. 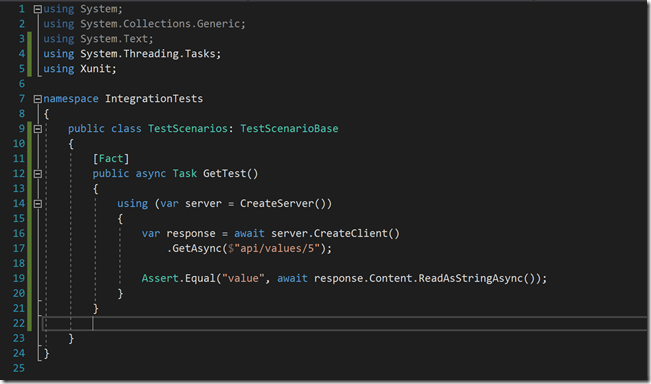 I would like to show just how easy it is to add testing and documentation to your Asp.Net Core API using Swagger. 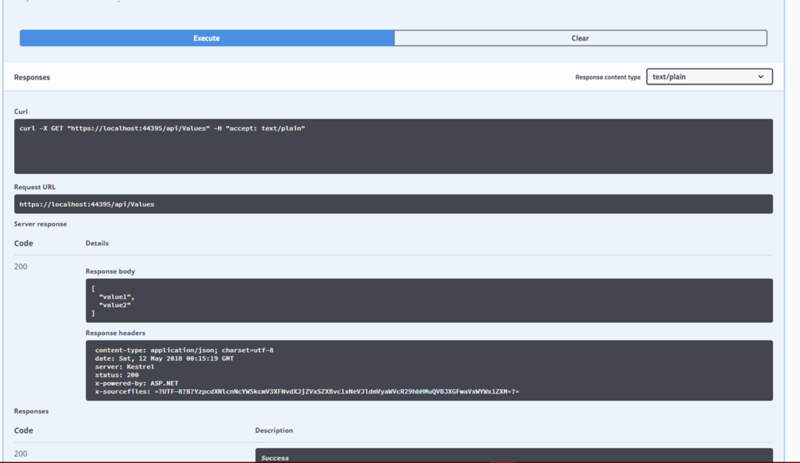 The reason I chose Swagger is simply that it is the largest framework of API developer tools for the OpenAPI specific which allows rapid documentation and testing of APIs with great ease. 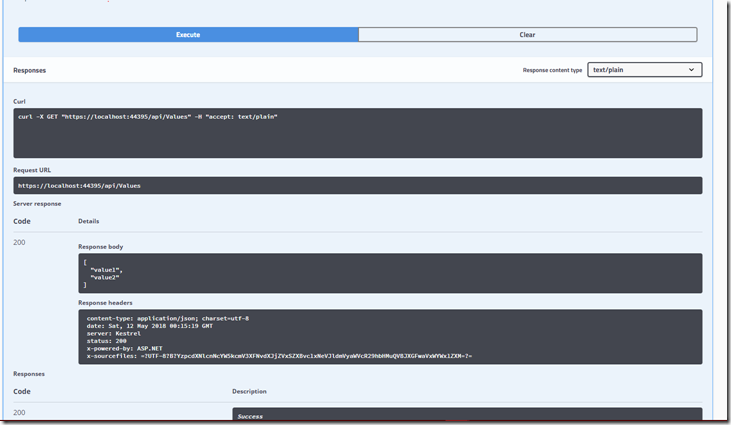 First we want to add the Swashbuckle package from Nuget. 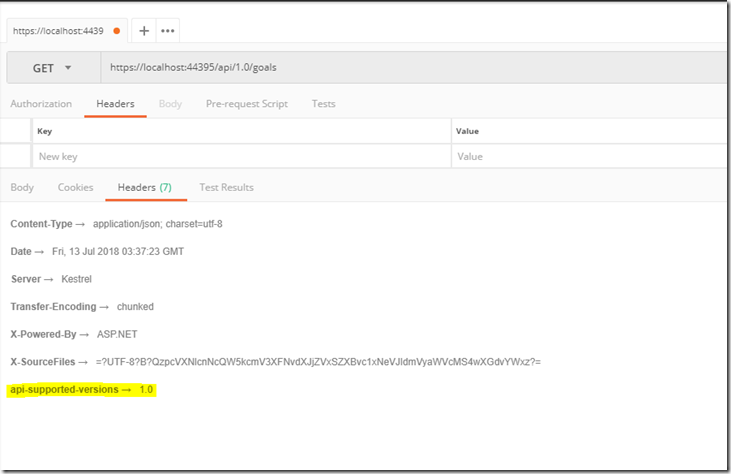 We’ve just added swagger, which will dynamically update as you add, remove or update your API removing the maintenance of separate documentation processes – fantastic.